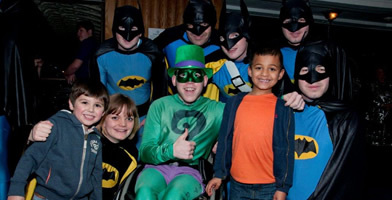 You have helped us to raise an amazing amount of money to fund trips, outings and to fund vital equipment for children who are physically or mentally handicapped or socially deprived. We would like to give heartfelt thanks to each and every one of you. Celebrating our 90th Anniversary was made all the better with the fantastic re brand that Pentagram have delivered for the charity. Our new brand is modern, friendly and represents what we excel at, making children happy. A wonderful opportunity for us to have the help of such a prestigious organisation who lead the way in design. Ubiquitous are the UK's largest taxi advertising company and have been in the taxi trade for more than 35 years. We have been working in conjunction with Ubiquitous Taxis to offer a number of LTCFC livery taxi wraps to any of our supporters, for a 12 month period, to help raise awareness of our charity. Genie Events kindly provide their resources and equipment to support the many events we organise. Their extensive experience in event planning helps us enormously and the equipment they provide us with is always fit for purpose and never disappoints. We regularly fund raise at Burlington Arcade in Piccadilly, thanks to their generosity and support we always have a fantastic time there and usually a few celebrity appearances. Thanks to AXS for supporting this years 90th Anniversary Dinner and Dance. AXS Europe is a leading global ticketing, data, and marketing solutions provider and are the preferred ticketing partner for some of the largest UK venues and festivals, from The O2 Arena and The SSE Arena, Wembley to Barclaycard British Summer Time in Hyde Park. We would like to thank Ink Recruitment for donating £3,250 towards The Mad Hatter’s Tea Party at the Grosvenor Hotel in January 2015 and for donating £2,000 towards the London Taxi Drivers' Charity for Children’s annual excursion for 300 underprivileged and disabled children to Woburn Safari Park in May 2016. Their kind donation went towards the drivers’ fuel. The Executive and Committee of the LTCFC are indebted to the Chairman, Directors and drivers who have continued to help financially supporting the efforts of the charity since Dial-a-Cab was founded in 1953. Thanks to the management and drivers for their continued support. The LTCFC are deeply grateful for the generous donation made every year by the Taxi Driver of the Year Charity Fund. Sincere thanks to the Choir members who supported our Christmas fundraising event at Burlington Arcade in 2017. Sincere thanks to the Choir members who supported our Christmas fundraising event at Burlington Arcade in 2016. The London Taxidrivers’ Charity for Children are indebted to the management and staff of the Grosvenor House, JW Marriott Hotel for supporting the Mad Hatters Tea Party. Catering to 700 children with special needs for over 42 years. The LTCFC thank Shawbrook for their continued financial support. The LTCFC are deeply grateful for the generous donation made every year by the Licensed Taxi Drivers' Association. The London Taxi Drivers’ Charity for Children were the proud winners of the 2017 MIPAA Chairman’s Award. The Award was presented in recognition of an outstanding contribution made by the charitable organisation since it was founded in 1928 to assist children with special needs. We are most grateful for the grants given to continue our efforts helping less fortunate children. 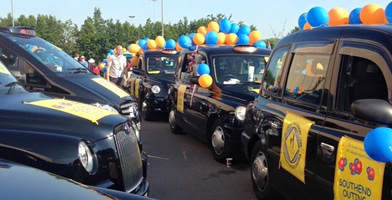 We thank the management and staff for their continued support and hospitality given every year to the hundreds of children with special needs and the London taxi drivers' on the annual taxi outing to Southend-on-Sea. 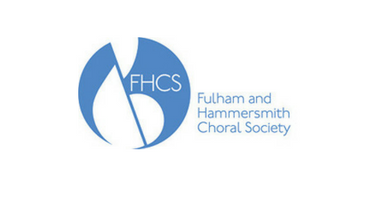 Sincere thanks to the Choir members who supported our Christmas fundraising event at Burlington Arcade in 2015. The Livery Company, The Worshipful Company Of Tin Plate Workers alias Wire Workers, offer grants to various worthy causes annually. The LTCFC are most grateful to Court of Assistants, The Master, Upper Warden, Under Warden, Deputy Master Assistants plus all Past Masters and the Clerk for their continued financial support. We cannot thank enough the many taxi drivers, their family and friends that volunteer their services to the LTCFC. Taxi drivers are integral to our outings and their time and effort is truly appreciated. It is crucial to know that the success of the charity is due to the continued support of taxi drivers and helpers who give their time and resources helping the LTCFC to help less fortunate children and their families. We certainly cannot thank you enough for putting loose change in a collection box, for making a donation here on the site, for sharing one of our social media posts, for helping out on an event or any other amazing ways you have helped us. Everything you have done and continue to do ensures our survival and continued mission to help children who need our help.